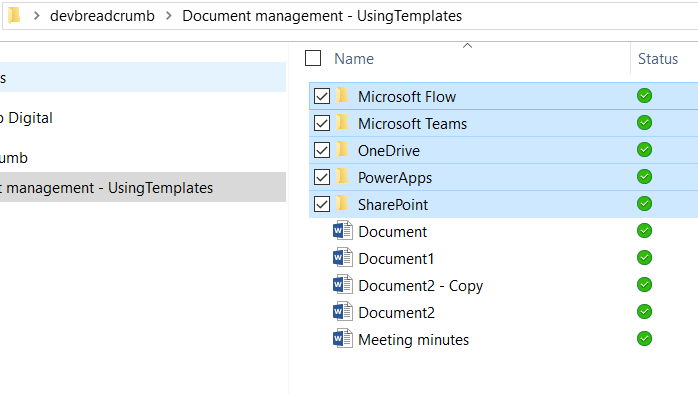 In my previous post, Accessing SharePoint documents without internet connectivity – part one, I demonstrated how to sync a SharePoint document library and make files available on-demand from your hard drive. This means you can have copies of SharePoint document libraries at your fingertips. Any changes made to online documents will be reflected in the documents stored on your computer and vice-versa. *Note: this functionality is currently being rolled out for Mac users. What are the different options for offline and online access? Online only files – documents that are only available online. Locally available files – documents that are currently open on your computer and are available offline. Always available files – documents you choose to make available offline (regardless of whether the document is open). If you’re about to go offline (say jumping on plane) and need to access multiple documents, it’s important to make sure that you have made them ‘always available’. 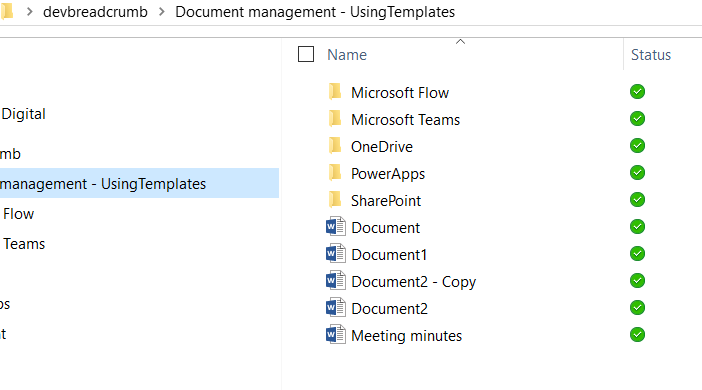 How do I make a document always available? In File Explorer, select the document, folder or even whole library and right-click. 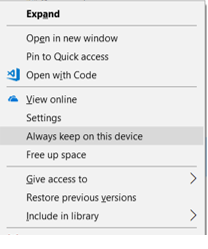 Select ‘always keep on this device’. 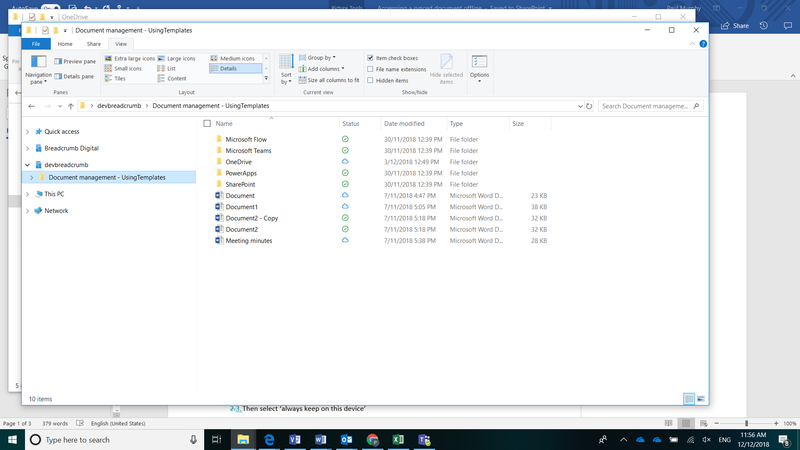 Your document, folder or whole library will start to download to your computer. When a green icon appears next to your document or folder, it has completed downloading (for a library, you’ll need to wait for a green icon for each folder). From now on you can open a document directly from your computer. When you save the document your changes are synced to SharePoint. Any offline edits are synced with SharePoint when you next access the internet. How do I free up space on my hard drive without losing access to documents? Select the documents, folders or even the whole library. 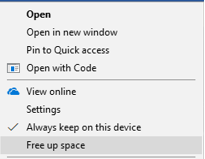 Right-click and then select ‘Free up space’. 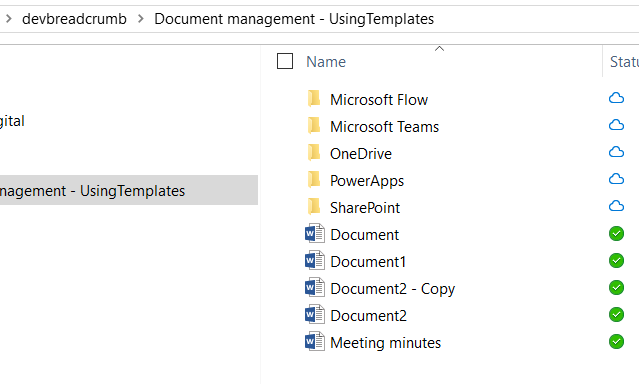 This will remove the document or folder from your computer but, importantly, not from the SharePoint document library. The ‘online only’ icon is displayed next to items that are no longer stored on your computer. When I have no internet connection and need to access documents. When I want access to lots of folders but not use up too much space on my hard drive. When I want to be able to access documents from multiple site collections in my Office 365 tenant. Got a question about syncing documents or anything else about SharePoint and Office 365? Our friendly team of consultants and developers are based in Brisbane and are ready to help! 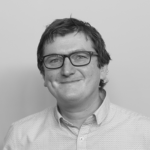 With over 10 years in using SharePoint, Paul is one of Breadcrumb Digital’s SharePoint specialists. Paul was one of the early adopters of Office 365 and enjoys using it to help solve business problems.